Michigan native set to enter second season with Tri-City. Tri-City Storm forward Chase McLane has announced a commitment to play college hockey at Penn State University. 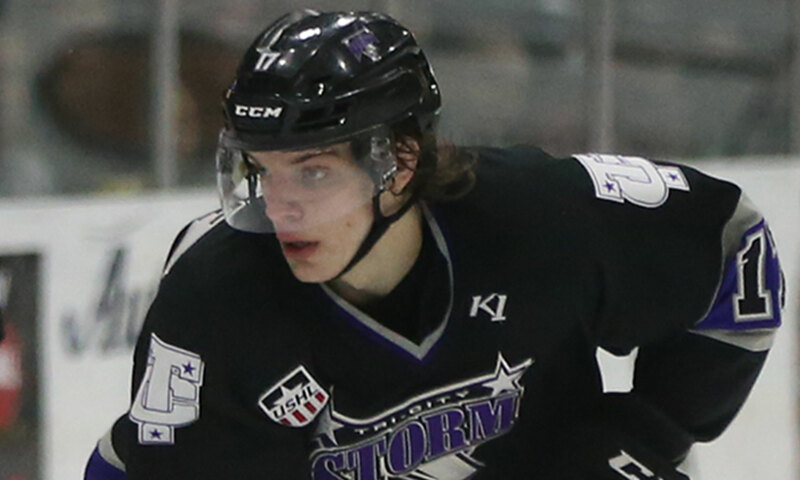 McLane was drafted 27th overall in the second round of the 2016 USHL Phase I draft, and skated in 48 games with the Storm during the 2017-18 season. McLane, 18, of Trenton, MI, spent last season with the Storm after being acquired in a trade with the Lincoln Stars on Oct. 4. McLane provided the Tri-City offense with nine assists and scored his lone goal of the season in the Storm’s 6-3 loss to Fargo on Feb. 10. Prior to his time in the USHL, McLane played for both the Compuware and Little Caesars programs of the HPHL. He has also skated for USA Hockey’s Selects teams at the U15, U16, and U17 levels. “After visiting Penn State in August, I absolutely fell in love with the place, and knew immediately that it was right for me," McLane said. "Coach (Guy) Gadowsky and his staff are unbelievable, and the facilities at Penn State are top notch. Knowing that my teammate Connor McMenamin was going there too was an added plus. I’d like to thank my parents, grandparents, teammates, friends and family, for their sacrifices to help me get to where I am." “Chase embodies everything we want from someone in our organization. He’s a talented hockey player, and a kid who does things right every day," said Storm head coach and general manager Anthony Noreen.